If you are a fine haired girl you may think that curling irons are all made for girls with thicker hair with their ultra wide barrels and their high temperatures. But you can still find the best curling iron for fine hair with a little help from us. Read on and let us guide you through choosing the right curling iron for your fine hair. The Size of the Barrel – when you have fine hair you want a curling iron with a medium sized barrel from ¾ if an inch up to 1 ¼ inch. Heat and Temperature Settings – you don’t need a lot of heat so always choose a curling iron that allows you to control the heat settings. 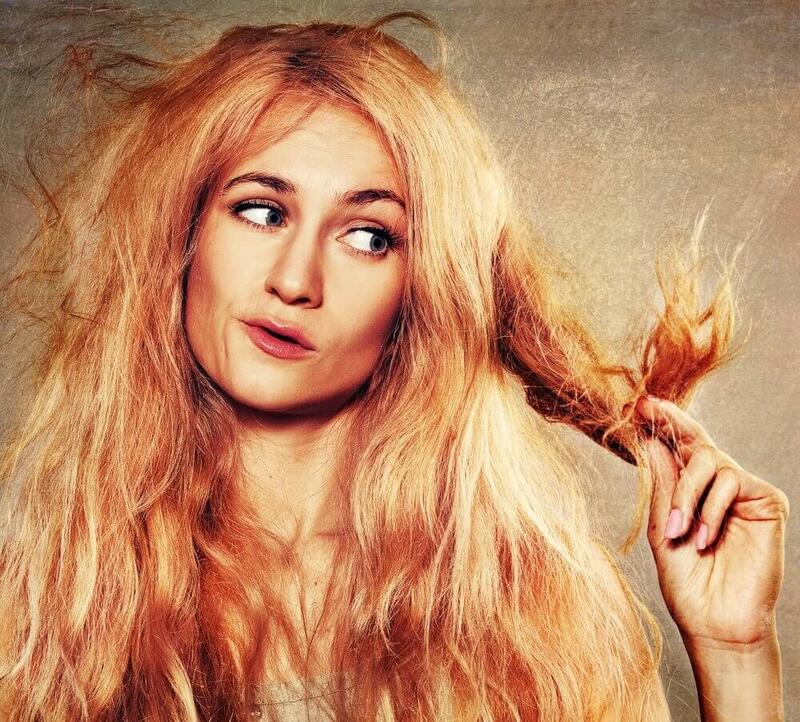 While you can get away with using any curling iron on your fine hair you shouldn’t. Your hair is very easy to get damaged especially if you use heat implements on it quite often. 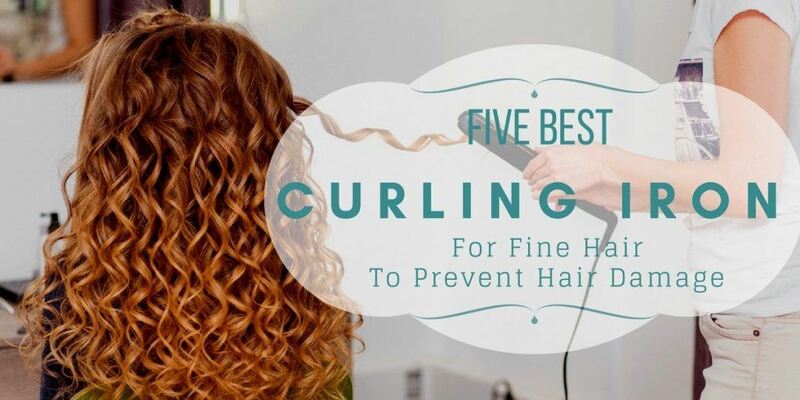 You will find yourself suffering more from crunchy hair and split ends and more if you don’t choose a curling iron that is made specifically for your fine hair. Because your hair is harder to grow than other hair types, most fine hair girls also have shorter hair. The average curling iron is made for those with longer thicker hair and will have a larger barrel. A curling iron made specifically for fine hair girls will have a smaller barrel so your hair can be wrapped completely around it thus providing you with better curls that will stay in place longer. Curling irons created for fine hair usually are made with ceramic plates which will prevent future damage to your hair. Don’t be fooled into thinking that purchasing a bargain curling iron that is not specifically made for your fine hair that you will be saving money. 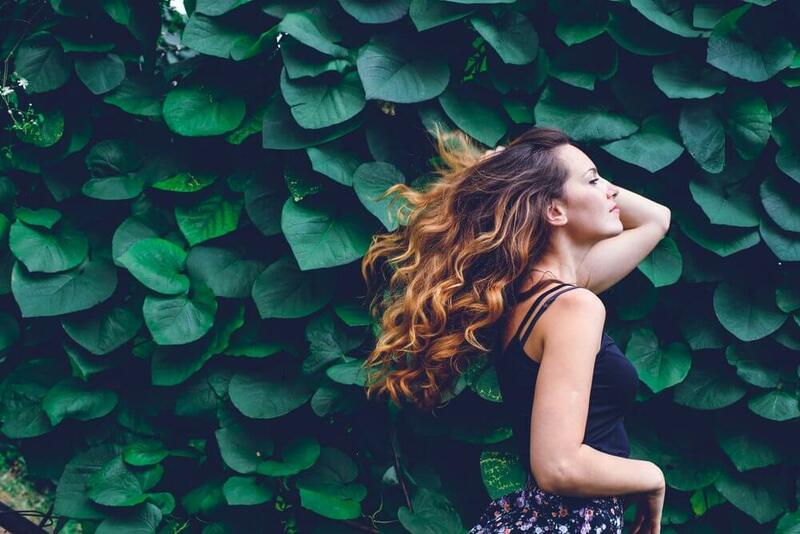 You may end up spending more in the long run when you damage your hair and have to do multiple hair treatments to try and bring it back to life. When you use a curling iron designed for fine hair it will help your hair by allowing the heat to penetrate the shaft. This will help to reduce static and smooth the hair. Not only will your hair be more manageable and will look better. These curling irons will lock in moisture and reduce frizz providing you with beautiful curls. 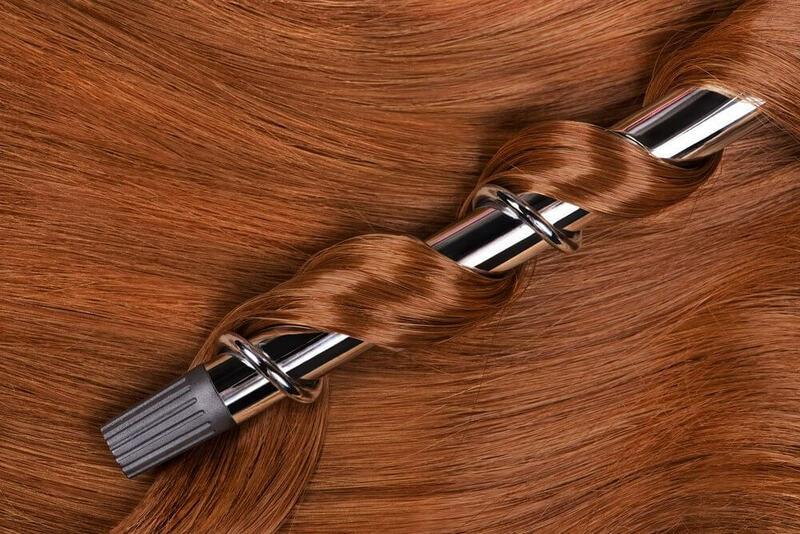 This curling iron is made with a barrel that uses ceramic and tourmaline technology. These features give the curling iron the ability to impart large amounts of shine to your hair while reducing frizz. The 1 inch barrel is appropriately sized to help you get lots of curls and body. It is ideal for styling your hair with a tousled and loose look while providing you with volume and texture so your hair doesn’t look as thin as it actually is. This curling iron has a clip less design so that your curls will be finished with a natural look – no creases or crimps in your curl with this long and no chance for your hair to be damage from staying too long in direct contact with the heat. The heat on this one goes up to a whopping 400 degrees Fahrenheit. Your purchase includes a heat protective glove to protect your hands while styling since this is a clip less design and you will have to hold the hair in place. This curling iron from Conair is a great option for you if you have fine hair. Your purchase of this curling iron includes a protective shield to protect your fingers since this is a clip less designed curling iron. The barrel of the iron has a cooling tip so that you don’t burn your fingers when holding your hair to get it curled. The unit has a digital screen where you can view the temperature of the curler and it also has an automatic shut off feature so you don’t have to worry about mistakenly leaving it on. Its cord extends 6 feet so that you can have a good range of movement and flexibility. 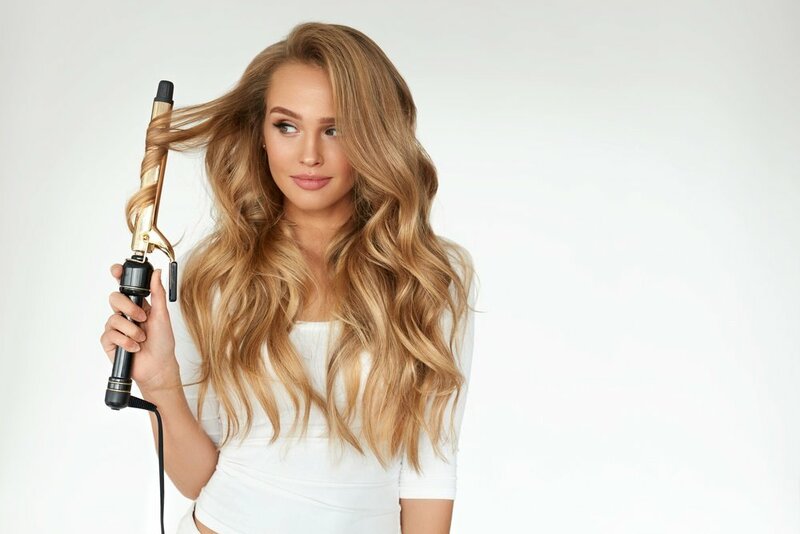 This curling iron has a unique formula with a double coat of ceramic which allows it to heat up faster style faster and keep the curls longer. It is also a dual voltage item making it ideal for travelling. It heats up fast and evening and provides you with curls that should last up to 18 hours. 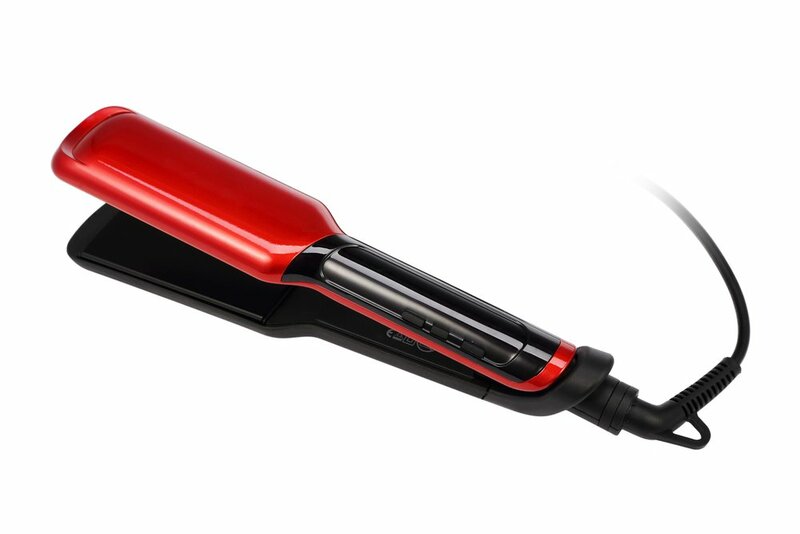 This curling iron is very versatile offering up 30 different temperature settings that reach a high of 375°F. It’s one inch barrel will allow for nice bouncy medium sized curls. The curling iron will help to reduce static and frizz producing smooth and silky curls every time. The curling iron features buttons that are recessed so that you won’t accidentally shut off the unit when in use. The thumb rest is ergonomically designed and it comes with a bonus protective shield that provides a safe and easy way to store the curling iron when not in use. Your purchase of this item comes complete with a limited 2 year warranty. The Remington CI9538 is a curling wand and not an iron but that is a good thing. It features a maximum temperature of up to 410°F. It is made with a digital display so you can easily view and monitor the temperature of the wand. The wand is easy to use with just 3 buttons; a power button and two buttons to adjust the temperature of the wand. It also has a temperature lock feature so that once you get to your sweet spot for temperature you won’t have to worry about mistakenly pressing a button and changing the temp to ruin your curls or your hair. There is also the 60 minute automatic shut off feature which is great if you tend to forget to turn things off. Included with your purchase of the Remington CI9538 is a heat resistant glove which will protect your hand from the heat of the unit. This is a great set if your hair is transitioning. If you are coming out of a haircut or are considering cutting your hair to try and re-grow it into a more healthy state then this is a great buy. This set includes a curling wand kit with 5 different barrels to achieve a number of different looks for different hair lengths and to keep your style different if you want your hair to be versatile. This unit is a salon grade item made with the highest quality interchanging tourmaline and ceramic barrels. This set includes both clip less wands as well as those with clips. With your purchase of this kit you get a two tapered clip less barrels and 3 barrels with clamps. It allows you to digitally adjust and monitor the temperature and offers a temperature range of 200 to 410 degrees Fahrenheit.Within that temperature range there are 9 settings you can choose. It features an automatic shut off feature which will activate once you leave the unit running for more than 60 minutes. It heats up quickly and has a cord that swivels 360 degrees and has a reach exceeding 8 feet. With dual voltage this curling set is very travel friendly especially if you will be undertaking international travel. When outside the country all you have to do is plug it in and it will automatically adjust to the correct voltage.You will need an adapter to use with it when you travel so consider that. Included with your purchase is a travel case with zipper case and a heat resistant glove. If you have fine hair you can find a curling iron that is designed just for your hair. But don’t just settle with any one, you should only choose the best curling iron for fine hair so that your hair will thank you. You are now armed with all the information that will help you to make the best purchase decision for a curling iron for fine hair. Choosing any of the above curling irons will guarantee you are getting a curling iron that will work well with your hair and that will prevent future damage to it. But you don’t have to take our word for it. These curling irons are all top sellers with plenty of reviews from satisfied customers who just love how well the curling irons work on their fine hair. They all are great choices that offer extreme value for money, no matter which one you choose from the list. 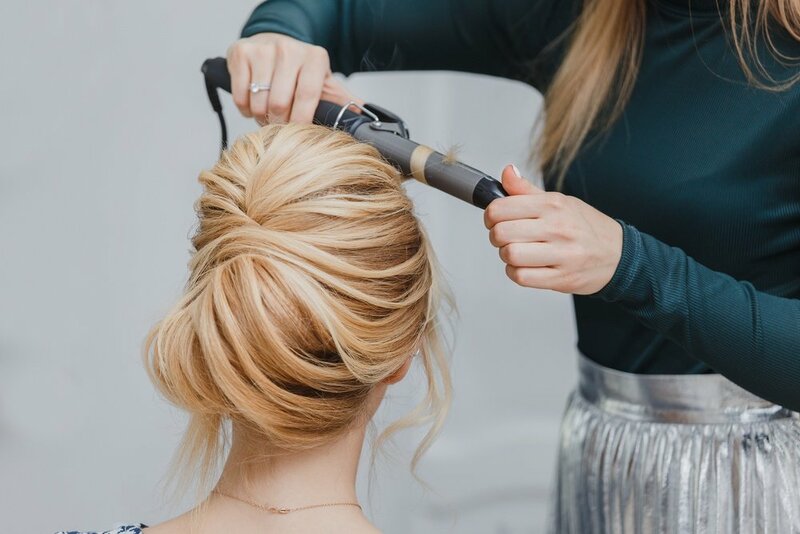 Purchase your next curling iron with confidence using our tips and guide above so that you purchase only the best curling iron for fine hair because your hair deserves to be taken care of while being able to look stylish with great bouncy and smooth curls. We highly recommend the Xtava Curling Wand Set as it offers the most versatility so it can provide you with a variety of styles and can be used with your hair at all different lengths.